T: This film is a Ukrainian film, but it’s set in the Soviet Ukraine of the 1930s, so it’s actually a political film. M: Especially with the current climate. T: But it’s a great film that can be discussed from different points of view. Of all the Ukrainian films, this is one that probably had it’s sights set on the global market. T: The man who is the main character is a minstrel who played a folk instrument, I mean, a stringed instrument like a balalaika, but his eyes were blinded by the secret police. It’s a journey in which the American boy runs from the police with him. T: That’s right. (laughs) “Zatoichi Challenged” is one of the films that Mr. Tanigaki chose for us for the “Historia Focus”, and it’s about Zatoichi going on a journey with a child. It’s really a lot like that. T: Make fun of the handicap of being blind and you’re given a hard time, bully the boy and you’re attacked. They’re very similar. M: Are you saying that because after watching it it’s your impression that it has been influenced by Zatoichi? T: Yes, without a doubt this director has seen “Zatoichi”. T: The scene where you think he might actually be able to see, for example. It was like that in Zatoichi too, wasn’t it? The nuances like that are interesting. Without a doubt he made this film after seeing Zatoichi. M: Shitaro Katsu’s Zatoichi in the Ukraine. That’s amazing. T: You can watch anywhere in this day and age. M: By the way, does the category “Ukrainian films” exist? They’re not credited as Soviet films? T: If you look it up you’ll find people associated with “Ukrainian films” a long time ago. It’s the Ukrainian Republic within the Soviet Union. 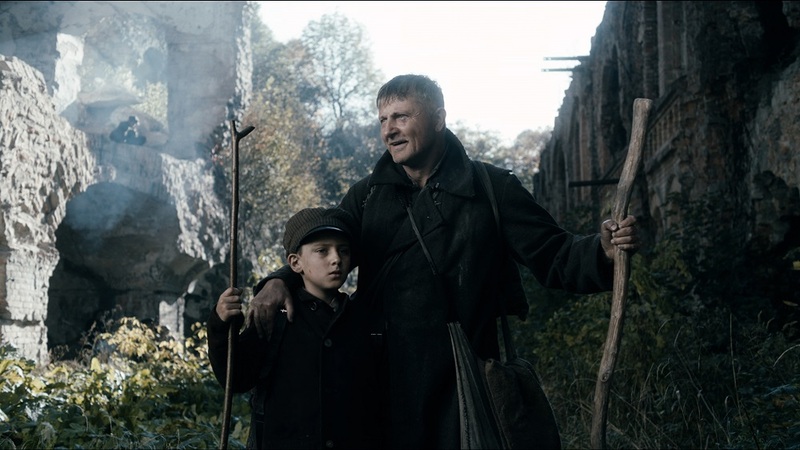 M: I’ve seen films from other Eastern European countries like Romania and Hungary, but I’ve never seen a Ukrainian film. T: That’s right. There aren’t many chances to see them in Japan. M: Moving on to “Once Upon a Time in Shanghai”, at the press conference Ms. Iiboshi said that to Westerners it would look like a BL (“Boys Love”) film. T: She said that didn’t she. I think that’s a new way of looking at it. T: It’s that mentality characteristic of Hong Kong films. M: Japanese yakuza movies have something almost chivalrous to them, don’t they? T: That kind of thing is in Nikkatsu action films too. M: It is, isn’t it? T: So maybe they seem that way when they’re seen again by the younger generation. M: It might be a good thing that there’s that kind of reevaluation. T: This “Once Upon a Time in Shanghai” is like a Nikkatsu action in some ways. M: I see. When it comes to the famous classic Japanese movies, the names that come up are always Akira Kurosawa, Yasujiro Ozu and Kenji Mizoguchi. The so-called Nikkatsu action films or famous films strong in entertainment value aren’t really featured much. T: But there are plenty of fabulous ones. M: Sometimes I see them when they’re on cable, and I can’t help being pulled in and watching them till the end. T: Like “Red Handkerchief”. It’s really great. My favorite ever. T: Toshio Masuda, that director is really a wonderful director. He really is. M: It was a rich time for Japan, so the films were rich too. T: Changing the topic slightly, the action in “Once Upon a Time in Shanghai” is really fast, it’s amazing. I want people to have a look at the fast action. M: Sammo Hung was involved, wasn’t he? T: Yes. With Sammo Hung and Yuen Woo-ping, the two great martial arts directors, called in to direct the martial arts, the big-name staff is noteworthy, too. M: The director is relatively young, isn’t he? T: Yes, he is. The fact that this kind person emerges shows that Hong Kong movies are really something. T: Actually, the villain is a Japanese person. The role is a of Japanese person. He’s played by a Chinese person so he has very few lines. Remember “Yacchimaina!” in Tarantino’s film “Kill Bill”? Sort of like that. T: So I get the feeling it won’t be shown in Japan. That’s why we want people to see it at Historica. M: This one is a bit tricky in terms of timing too right now. T: That’s why we really wanted to show it. T: There were some astonishing ones, like a Korean film portraying the days of Hideyoshi Toyotomi. M: Putting aside the actual historical interpretation, historical films are an effective tool for knowing how other countries view our own country. T: Yes, so in an ideal world, it would be best if we could have a neutral place to converse without that kind of regulations. M: In Enjoy Kyoto, I often say that “global” means not the world coming to share the same values, but that reaffirming what’s good about local things by experiencing other cultures. M: We’re saying that even people from different cultures have things in common, and with that globalization is an environment where we can take each others’ hands and instead appreciate the differences. It’s about respecting each other. M: I feel that historical films are really suited, I mean, are just right for being a springboard for discussing that kind of thing. T: That’s really true, and I think that’s part of the significance of the Kyoto Historica International Film Festival, too.